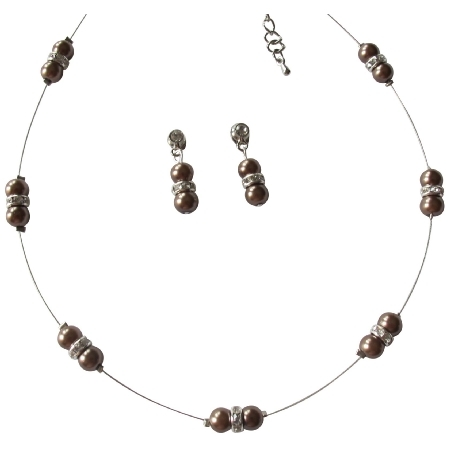 Lustrous brown pearls adorned in floating illusion necklace with surgical post earrings. Jewelry for Bridal party & wedding jewelry inspired by vintage glamour romantic necklace earrings set for special occasions & modern classics for everyday. The spacer sparkle like diamond & can be dressed up or down for maximum versatility. Material : 8mm Brown pearls adorned in illusion wire with rhinestones rings spacer with surgical post earrings.